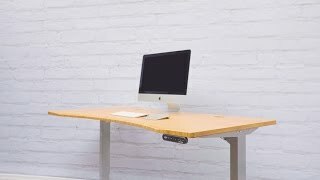 The UPLIFT Desk Standard Crossbar End attaches lengthwise to your desktop, connecting an UPLIFT desk base to the top. A standard frame end is 19.75" wide, perfect for desktops that are wider than 43". If you need replacement parts for a smaller desk, are converting a larger desktop to a smaller desktop, or want to create a gap underneath your desktop for a keyboard tray, you may want to consider the UPLIFT Desk Short Crossbar End instead. This part is compatible with both two-leg and three-leg UPLIFT 900 series desks. The UPLIFT Desk Standard Crossbar End comes in your choice of black, gray or white to match your UPLIFT 2-Leg Desk Frame or UPLIFT 3-Leg Desk Frame.